Editor-in-chief at Africa Top Sports. Double shot for Yacob Debesay. 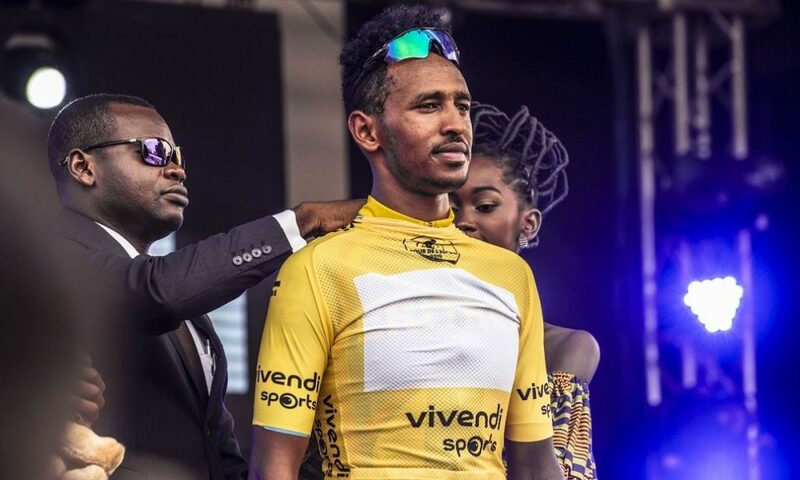 On Wednesday, the Eritrean rider won the 3rd stage of the Tour de l'espoir 2019. At the same time, he regains the yellow jersey of the overall leader. Nkongsamba - Dschang within 66.8 km. The stage of the day was announced particularly difficult with the ascent of the Cliff of Santchou at 1,460 meters above sea level. Debesay finished first in 1:41:37, ahead of Colombians Alexis Quinteros and Santiago Montenegro. Debesay took over the yellow jersey, which he had already worn after the 1st stage, to his compatriot Mebrahtom Natnael.